BOCA RATON, Fl. 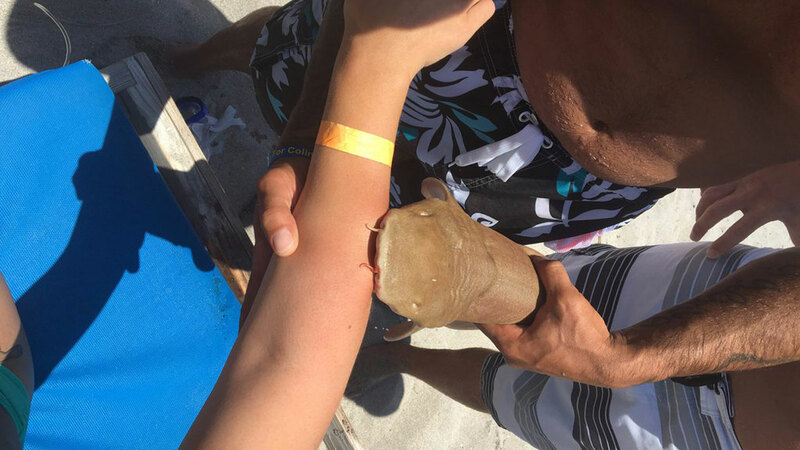 -- News reports say a 23-year-old woman was bitten by a small nurse shark in Boca Raton. The South Florida Sun-Sentinel reported the woman was taken to the hospital by ambulance Sunday with the shark still attached to her arm. A spokesperson for the Boca Raton Ocean Rescue told the newspaper the woman remained calm and there was a little blood. A splint board was used to support the woman's arm and the shark as she lay on the stretcher.